Looking for the Best Online Video Guitar Lessons? Even if you’re a total guitar Beginner, there are premium sites which provides excellent online guitar lessons to teach you step by step everything what you need to know from the beginning to the most advanced skills. Active member community for questions & answers. Still searching around and get nowhere? Check out the top 3 sites which provide the best online video guitar lessons. High quality video guitar lessons, enormous variety of instructors and music genre instruction. With some very good instructors. The quality videos for the price are hard to break anywhere. It’s building the social network for guitar students, with many good beginner guitar lessons. Still not sure which site is for you? No worries, just make the best use of their free trial membership. Read on. They offer comprehensive video guitar lessons from 80+ guitarists, for beginner, intermediate and advanced levels. Full access to tons of guitar lessons from 80+ teachers, which is video-based, online, and high quality. Comprehensive chord library, badass scale library, custom library of jam tracks, interactive games, lick & riff library, custom progress reports. Jamplay has been actively online for years, which means thousands of members, lots of potential friends, and more tech support. No rush to pay for the memership, you can take a look at their sample lessons or get the free 7-day trial first. Currently the monthly membership plan is only $19.95, the quarterly plan is $49.95, and the annual is $139.95. For more details of Jamplay, including Pros & Cons, read the full review here, which contains all the information you wanna know about Jamplay membership. They offer comprehensive video guitar lessons, for beginner, intermediate levels. Full access to tons of guitar lessons, which is video-based, online, and high quality. Not just lessons, but also a system. 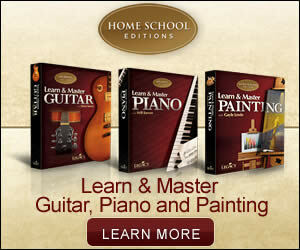 Every lesson is linked in a step-by-step sequence and designed to make learning easy and fun. No rush to pay for the memership, you can take a look at their sample lessons or get the free 14-day trial first. The price for a one month purchase is $14.95. This is hard to beat, considering that it’s less than your morning coffee and today’s lunch costs. For more details, including Pros & Cons, read the full review here, which contains all the information you wanna know about GutiarTricks membership. Be confident, try GuitarTricks now. They offer excellent beginner guitar lessons, good for guitar starters. Full access to online guitar lessons, which is video-based, online, and high quality. Every lesson is linked in a step-by-step sequence and designed to make learning easy and fun. $99.95 for lifetime membership, no monthly fee. For more details, including Pros & Cons, read the full review here, which contains all the information you wanna know about Jamorama membership. Be confident, try Jamorama now. How to use online guitar lessons? Online guitar lessons are mainly geared toward people who have never played guitar before and the site teaches you the basic notes, how to care for your guitar and how to tune a guitar. They use an auditory method of tuning your guitar with you and teaching you how to tune it yourself. No rush, step by step, and stay motivated. When you have mastered the fundamentals, you can take courses in certain style of guitar playing. You can learn to play electric, rock and roll, blues or other genres of music. Happy learning!